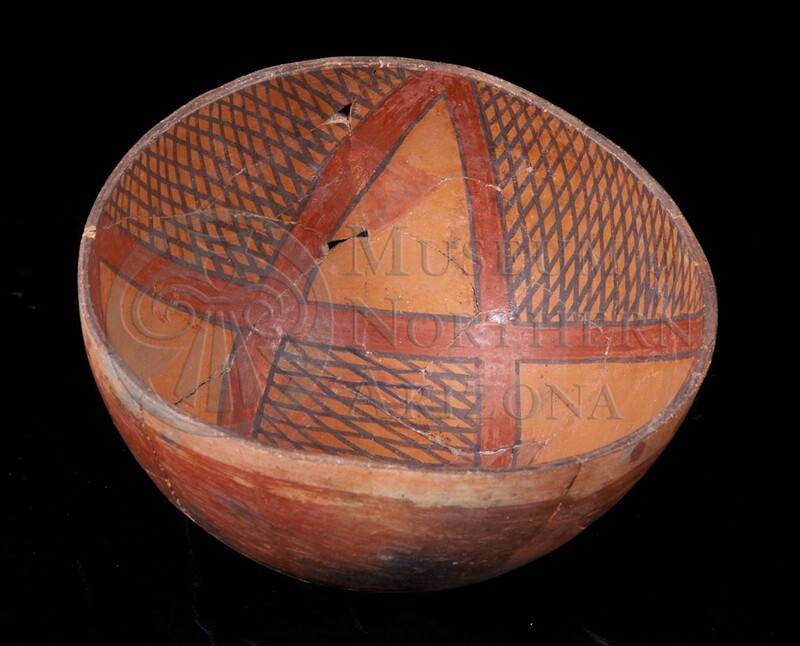 Citadel Polychrome bowl from the Museum of Northern Arizona collections. Click the image to open the Citadel Polychrome gallery. Citadel Polychrome is a type of Tsegi Orange Ware produced in northern Arizona and Moenkopi Wash in the Tsegi Canyons, and widely traded. 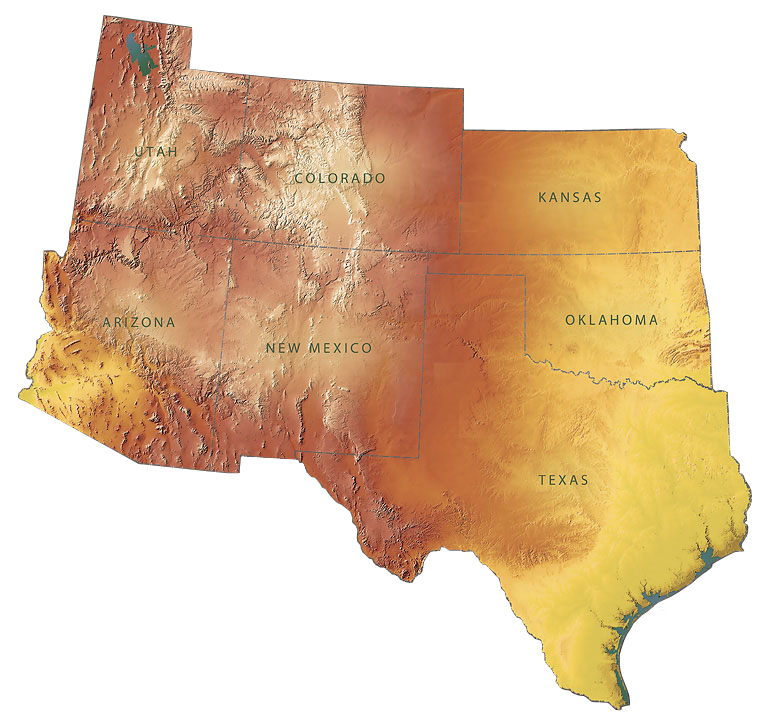 Date Range: Kayenta Heartland: A.D. 1040-1200 (Christenson 1994), Flagstaff Region: A.D. 1125-1200 (per Christian Downum, Northern Arizona University). Core Color: Black to gray, dark brown (rare), to brick red. Temper: Mostly soft, light colored whitish or yellowish angular fragments of sherd, usually lesser amount of quartz sand; occasionally isolated grains of basalt; conspicuous in cross-section of reddish color; noticeable on surface. Surface Finish: Bowls usually smooth; occasionally bumpy; polished; horizontal polishing marks conspicuous around sides; exterior bowl surfaces slipped, except that broad unslipped stripe often occurs just below rim; base generally unslipped; slip generally thick with temper extruding; often crazed; slip flakes off large areas of heavily weathered sherds leaving core mottled with temper. Surface Color: Exterior red; interior orange; color of interior surface and core generally do not contrast. Vessel Thickness: 2.6 to 7.0 mm; average about 4.8 mm. Paint: Black and red, confined to interior. Design: Red paint: horizontal and diagonal stripes and elongated triangles; sometimes stripe encircling vessel just below the rim, no red stripes on the exterior. Black paint: narrow lines outlining red areas; diagonal hatchures in areas between red elements; no staggered or solid black areas; rims slipped, partly slipped or painted with black line. Comparisons: Tusayan Polychrome, Style A bowls generally have horizontal handle; exterior surface bowls; one to three red stripes encircling vessel just below the rim; exterior surface color, buff or orange. Cameron Polychrome has black hatchures over orange surfaces.